What’s It Like To Be A Voice Actor? 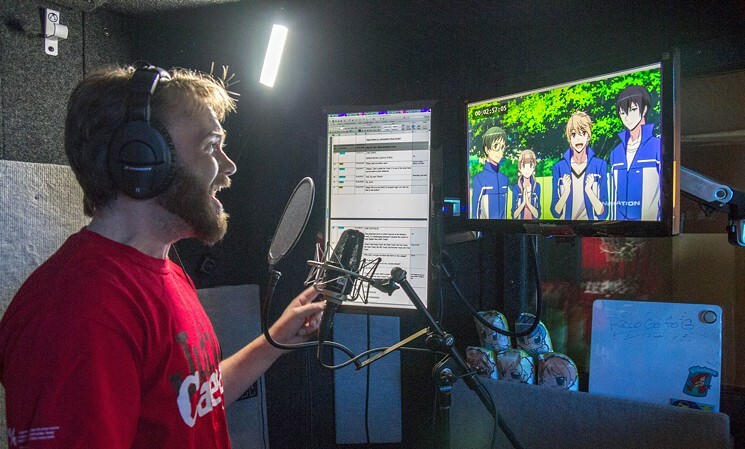 Here’s generally how [English dubbing] works: you’re in the booth (sitting or standing), and in front of you is a monitor on which the engineer will play the animation for you. Your script is on a music stand in front of you. Usually your dialogue is broken down into bite-sized pieces called loops. You may watch a lop a couple of times to get a feel for both the timing and what the mouth movements (or flaps) look like before laying down the dub track. Oftentimes the director has the engineer play the track in the original language so that you get some context from the original performance. How close you try to get to the original performance is up to the director. This process definitely takes some getting used to, and can, at times, be like juggling a ball, a bowling pin, and a chainsaw. But you will usually have your guide: the beeps. According to Yuri and Tara, voice actors for dubbed anime record their lines alone in the booth. This is in contrast to American-original animation (sometimes called pre-lay animation) where the lines are recorded before the animation work even begins. The differences don’t end there. With pre-lay animation dubbing, the recordings usually take place at the same time in the same room. Naturally, there’s more opportunity for ad-libbing and developing friendships with your co-actors. Anime dub actors, on the other hand, will interact almost entirely with the recording engineer and the voice director. The director in particular acts as an intermediary between the voice actors and the rest of the production team. Other than the brief snippets of info that I just relayed to you, the book doesn’t go into much detail about how English dubs are recorded and scripted, or anything like that. It’s mostly a self-help guide for people who are interested in making a career out of voice acting, so the scope of the book was pretty general. Chances are you won’t learn much new about the industry. This article on the Dallas Observer about Funimation is a much more interesting read. Still, I found it interesting to compare Tara and Yuri’s insights to my knowledge of voice acting in Japan, where the recording sessions takes place after the animation work has commenced. Also, the process through which voice actors break into the industry appears to be much more institutionalised in Japan, where voice acting schools are a dime a dozen. Nevertheless, both industries seem to be quite “clique-ish” in my perspective, in the sense that it can be very difficult for newcomers to break into the regular roles. 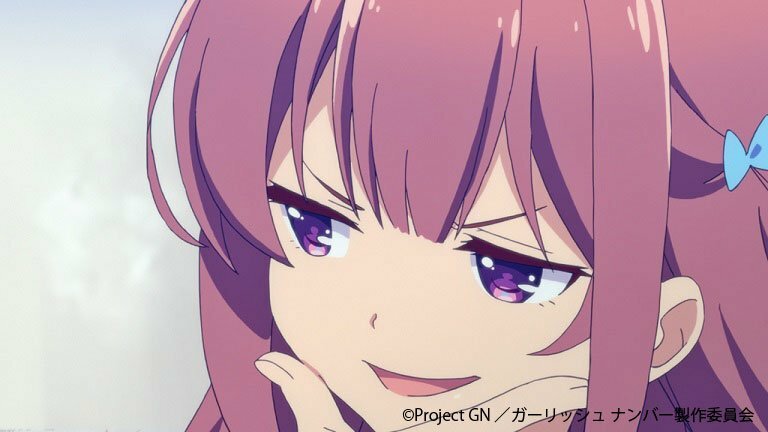 I admit I don’t know much about the voice acting industry in either country, so I’m looking forward to watching the Girlish Number anime this season. It’s written by our favourite cynical light novel author Wataru Watari, so I expect it to be an amusing take on the industry. Watari is apparently close pals with Takuya Eguchi, the voice actor of Hachiman, so I suspect that a lot of the industry-related stuff would be drawn from Eguchi’s experiences, only embellished with Watari’s trademark snark. Technically, the first episode has already aired in Japan, but there’s a week long simulcast delay. Oh well. Is anyone else planning to watch it? Edit: Girlish Number is now on Crunchyroll! Hopefully, this means no more week-long delays to access it! Posted on October 10, 2016, in Editorials and tagged girlish number, seiyuu jokes. Bookmark the permalink. 12 Comments. I used to be a production manager at a dubbing studio (not in the US, nor Japan for that matter) and it was pretty much the same for us – aside of walla recording, it was very rare that two (never mind more) voice actors were in the same recording booth together, although for what it’s worth they usually hung out together outside the studio, waiting for their turn. Also voice acting is a relatively small scene here so they’d usually known each other for a very long time..
Way back when there was fewer stuff to dub in my country dubs were treated more seriously: voice actors and the dub director would watch the movie beforehand, sometimes discuss it, helping everyone to get a feel of the movie and the characters. Nowadays though there’s no time or money for that: actors get cast but unless it’s a very big-profile movie or TV series usually they don’t really spend a lot of time on getting to know the role. Here’s the script, there’s the booth, in you go and 3-2-1, speak. This is really interesting stuff! Thanks for sharing your experiences! I can’t remember, did you ever watch Osomatsu-san? There was an extra episode (or just a re-played one) that aired where half the Japanese voice actors at a time were all in the booth talking to each other over the footage – not just about that particular series or episode but also about their various voice roles over the years and how terrible everyone was. You could tell they obviously knew each other and their works pretty well, teasing the hell out of each other like that, but it was interesting just to hear some of their more general commentary as well. It could be worth a look/listen if you haven’t seen it already. Oh yeah, I saw that Osomatsu-san episode. It was pretty amusing and insightful! I wouldn’t really call myself a “seiyuu devotee” but I’ve also encountered radio shows, interviews, DVD extras and other materials that affirm how tight-knight the voice actors become when they work on a show together. Voice actors spend a LOT of time working together. What a nice freudian typo. Mostly I just enjoyed how they all trash-talked each other. XD It’s not something I encountered a lot of even when I was in Japan, except maybe occasionally among guy teens. Hearing the Osomatsu guys do it was pretty amusing and even kinda heart-warming in a way, since it meant they felt close enough to be that casual. All the Osomatsu guys are veterans, they worked together for so long that it’s probably no surprise that they have grown so close with each other. Yeah, it’s one part of why I enjoyed that show so much to begin with. I mean, if I don’t know too much about anime and it’s the very first time I heard of these voice actors, if you were to tell me they were real brothers, I might just believe you.